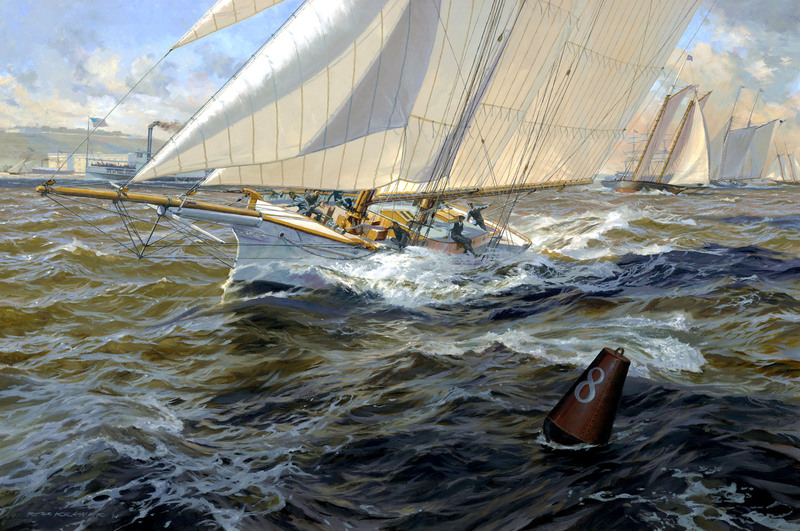 In the first defense of the America’s Cup, on August 8, 1870, the British challenger CAMBRIA found herself competing against a whole fleet of American yachts – a tall order – including the original AMERICA of 1851. One of the smallest in the race, MAGIC, here shown passing the Narrows, ultimately prevailed. This original painting is in private collection.